Meet the cleanest whey isolate on the market. Not all isolates are created equal. 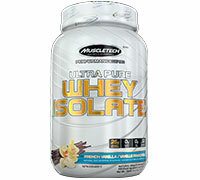 MuscleTech® Ultra Pure Whey Isolate is formulated with a pure 97% whey protein isolate. With 25g protein per scoop this formula will give you everything you need without any added sugar, fat or carbs. Our Ultra Pure Whey Isolate is great for anyone looking to recover, and build muscle faster and more efficiently. With less fat, carbs, cholesterol, lactose and impurities, you can feel good about fueling your body with this high-quality, potent formula. MuscleTech® Ultra Pure Whey Isolate is formulated with 97% whey protein isolate to create the purest protein formula available. It’s gone through a unique, selective ion-exchange process, resulting in a 97% level of purity, making it a premium, high biological value protein source. You work hard to build the body you want, so make sure you fuel it with only the best. You’re only getting the good stuff with this formula. For each scoop, MuscleTech®Ultra Pure Whey Isolate provides 25g of protein. 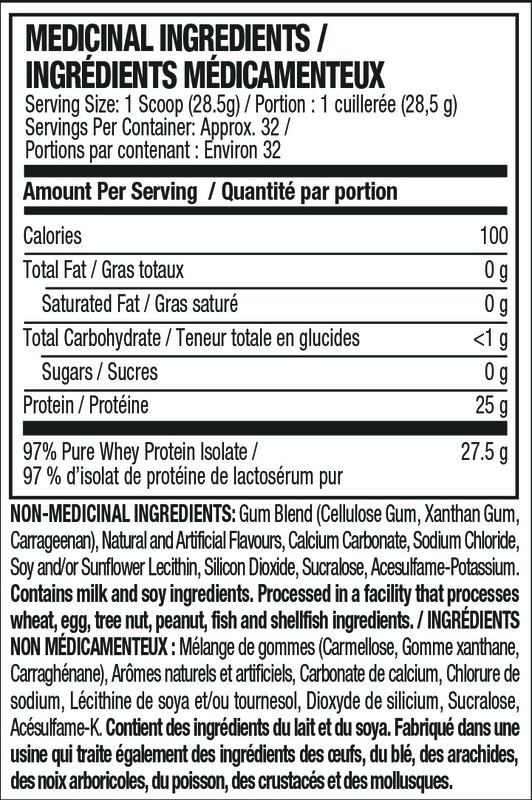 This means up to 88% of each scoop is pure, musclebuilding protein. We also deliver a class-leading <1g of carbs and 0g of fat.